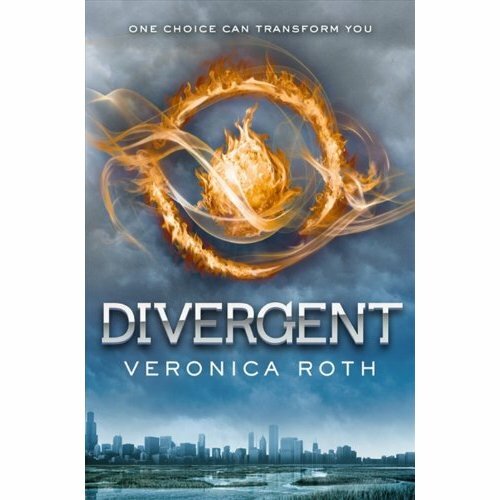 Beatrice Prior is the heroine of this fast paced story, Divergent. She and her brother were raised in Abnegation. The people in the Abnegation faction wear grey colored clothes and are meant to think of others before themselves. Beatrice feels that this is really difficult and not natural for her. She sees her brother Caleb as an ideal Abnegation member because he appears to do everything perfectly and willingly. Everything really begins with the Choosing Ceremony. Will Beatrice and Caleb choose to stay in Abnegation or will they choose another faction? You’ll just have to read and find out. People will probably say that these books are too violent and even compare them to The Hunger Games trilogy but that’s not the case. Yes it does have elements of violence, but that’s not the essential point of the novel. I predict that the movie adaptation will make Divergent just as popular as The Hunger Games if not more. Unfortunately, I have some problems with this trilogy. Divergent was interesting, read well, and kept me reading. Insurgent otherwise wasn’t the case. 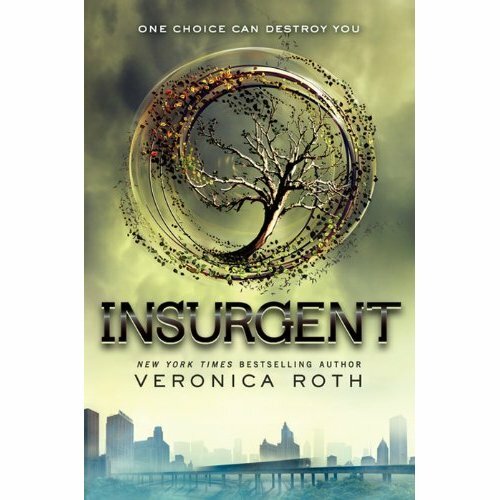 I began Insurgent looking for answers that don’t seem to come up. What is given as an explanation at the end of Insurgent is unacceptable and frankly boring. Roth’s writing becomes very predictable because she always leaves the end of each chapter with new questions and action. While reading Insurgent, I felt as if I was being manipulated to keep reading, basically baited from beginning to end. I hate when that happens! I get the feeling that Roth wrote Divergent as one book and her editors asked her to write a trilogy. It’s like trying to stretch gravy when we don’t have enough to go around. You add water. I rate Divergent four stars and Insurgent two stars. Of course I’ll read the third book when it comes out because I want to a. see how things turn out and b. see if Veronica Roth can redeem herself. The idea of the story is good but I don’t think she went about it the right way. I just watched Total Recall at the cinema two nights ago and there were things that made me think about this trilogy. I can only suggest to read this trilogy at your own risk. This seems to be the problem with YA novels is that they are often in trilogies or series. Moreover, a lot of them tend to be dystopian now and contain similar characteristics in themes. I’m really surprised they continue to be so popular. I’ll be looking to read more YA but I’ll be steering away from the dystopian theme for the moment. Happy reading….